Dealer maintained and serviced. Fully inspected. Brand new tires. 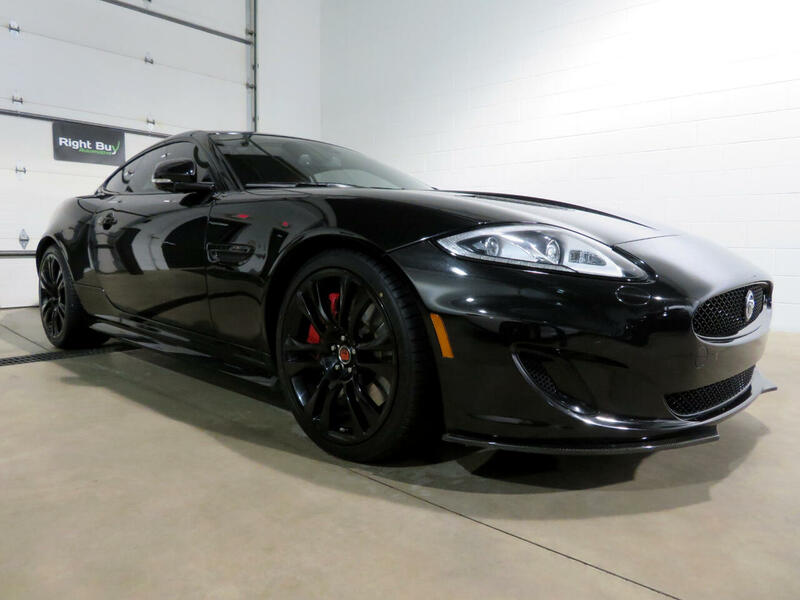 This Jaguar XKR Coupe comes equipped with the Dynamic Pack plus Black Pack. At the heart of this XKR is a 5.0L V-8 fitted with a sixth generation twin vortex system supercharger producing 510HP through a 6 speed automatic transmission featuring Jaguar sequential shift with sport mode. Other features included are an active differential; Jaguar high performance braking system; body colored aerodynamic pack; front splitter; rear spoiler; body colored rear diffuser and side sill extensions; improved steering precision; bespoke spring and damper settings; adaptive dynamics; performance active exhaust; 20" vulcan alloy wheels; 16 way adjustable heated/cooled precision crafted performance leather seats; heated steering wheel; Jaguar smart key keyless entry; push button start; 7" LCD touchscreen display; 525 watt Bowers & Wilkins audio system; navigation; dual zone climate control; Bluetooth; backup camera; LED headlamps; and much more. Every vehicle at Right Buy comes with a full inspection report, CarFax vehicle history report, affordable extended warranty options and low rate financing options. Set an appointment to view the vehicle in our heated indoor show room. 12 MONTH 12K MILE EXTENDED WARRANTY AVAILABLE FOR $1,440 or 3 YEAR 36K MILES FOR $1,760.